In a move that some will blame on the Egypt resolution, big Asian markets had a HUGE start to the week. Laggard Hong Kong gained 1.28%. Super-laggard Bombay gained 2.25%, and Shanghai rallied 2.54%. 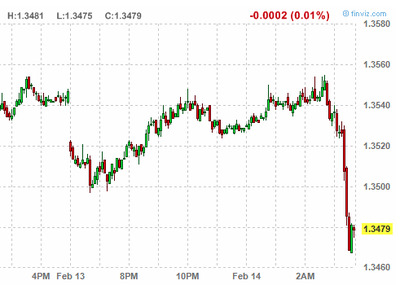 Other markets are fairly quiet, although the euro just took a violent leg down.